If you call NYC home, you may have noticed a new neighbor on your block. We opened NYC’s first Chick-fil-A a few months ago, and you made us feel so welcome that we opened a second restaurant on April 2. And just six months in, we’re settling in nicely. Hail a cab? You bet. Stroll through Central Park? Oh yeah. Catch the train? Like a boss. But we’re still new here. 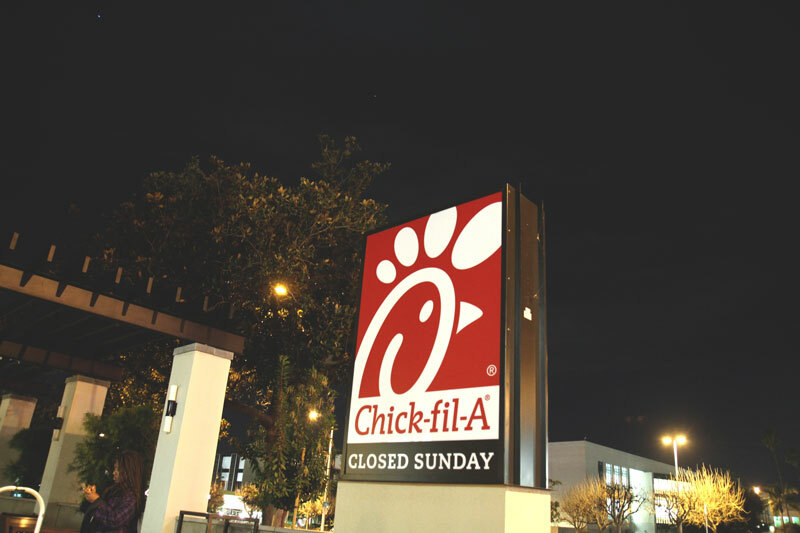 With our roots in the South, many New Yorkers have never eaten at a Chick-fil-A restaurant. 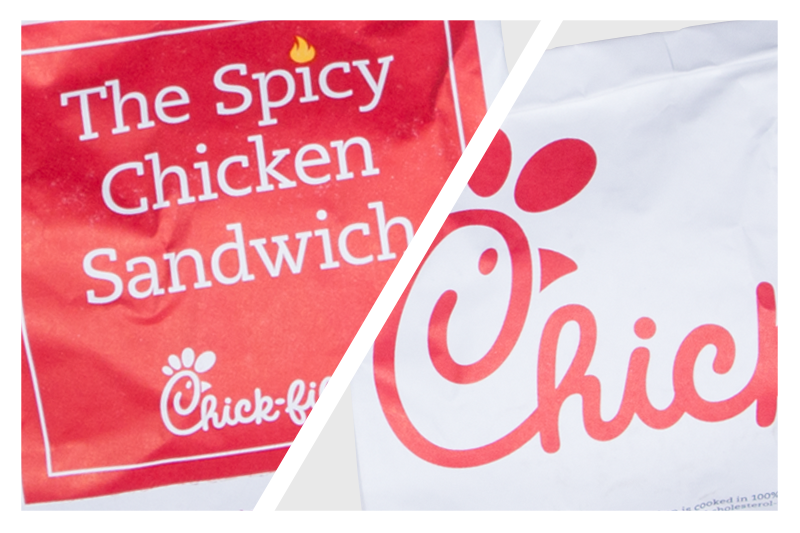 To help you get to know your new neighbor (who, by the way, makes a mean chicken sandwich), here’s a handy guide that will have you navigating your first Chick-fil-A visit like a pro. 1. We know New Yorkers are always on the go. May we suggest our Chick-n-Minis™? They’re bite-sized chicken biscuits – a perfect breakfast that travels anywhere. 2. 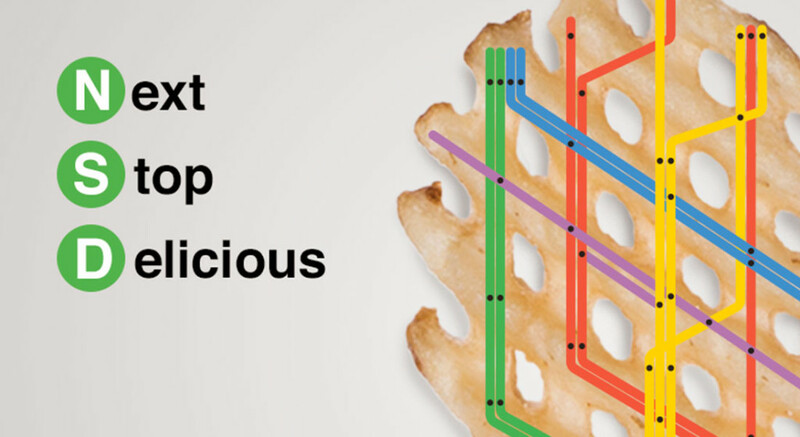 Our french fries are waffle fries, made fresh daily from real potatoes. They’re the ones that look eerily similar to your NYC subway map. They’re delicious. But we can’t guarantee they’re great for directions. 3. You’ll hear “My pleasure!” a lot, because serving our guests truly is a pleasure. 4. May we suggest a beverage to accompany you while you’re sunbathing in Central Park? It’s part Chick-fil-a Lemonade, part Icedream® and 100 percent incredibly refreshing. 5. We know you’re the city that never sleeps. But we like to slow down on Sundays to enjoy friends, family and life in Manhattan. 6. New Yorkers are always moving, never slowing down. So are we. 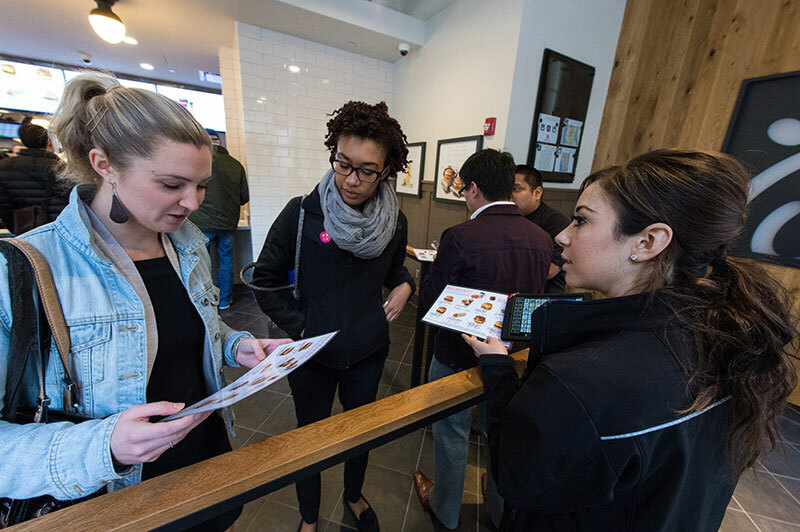 We use an innovative system that allows Chick-fil-A team members to take your order with a tablet while you wait in the line so that it’s ready by the time you get to the counter. 7. Hankering for a Chick-fil-A breakfast? Make sure you don’t miss your train! We stop serving our morning goodness at 10:30 a.m.
8. The melting pot of America deserves a menu just as diverse. That’s why you have the choice of seven superb sauces, like the Polynesian, Chick-fil-A, Honey Roasted BBQ, Sweet & Spicy Sriracha, Buttermilk Ranch, Buffalo and Honey Mustard. 9. Mets or Yankees? Knicks or Nets? Jets or Giants? And now one more: spicy or regular? 10. The Chick-fil-A Chicken Sandwich was the first chicken sandwich. The original. You take the title of best slice; we’ll stick to chicken. 11. We can’t move into the Big Apple without serving up some fresh fruit. Our littlest fans can enjoy apple sauce and organic apple juice as part of any Kids Meal. 12. We admit, we’re new here. 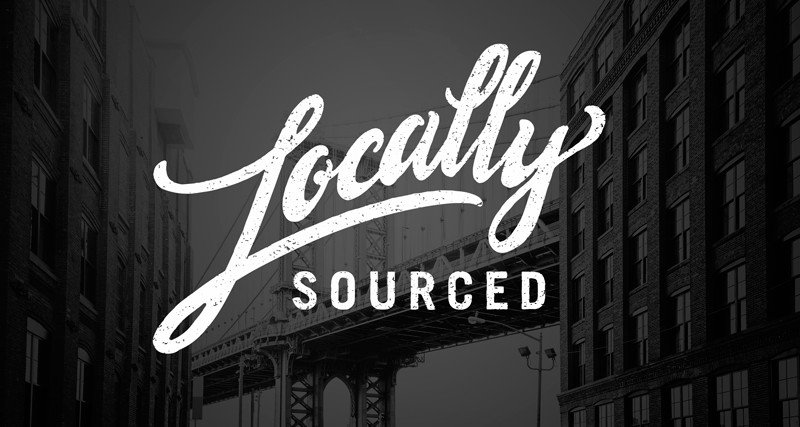 That’s why we called in some local favorites. Automatic Rolls of New Jersey provides freshly baked bread, while all of our flaxseed flatbread will be made and delivered by Brooklyn-based Damascus Bakery.